Do You Need To Use Pre Shave Oil During The Shave Routine? Do You Need To Use Pre Shave Oil? Is Pre Shave Oil Truly Only Used During the Pre Shave Process? What Is Pre Shave Oil, and What Does It Do? 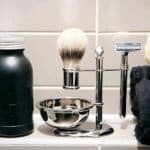 Should I Use A Pre Shave Oil If I Already Use a Quality Shaving Cream? Will Pre Shave Oil Prevent Razor Burn? Can You Make Your Own Pre Shave Oil? One of the more obscure parts of the shaving routine is a little product called a pre shave oil. 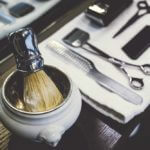 It’s use is hotly debated among shaving enthusiasts everywhere as far as its real true use and benefits. 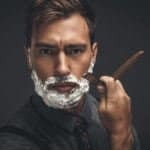 But to understand what to expect from a pre shave oil, you need to really dive deep into the product itself and see how you (even if skeptical) can actually realize some great benefits for both your shave routine and skin care. Perhaps one of the biggest reasons why pre shave oil is so often skipped over and confused among men everywhere has to do with its use during the routine. One question that I see from men is that they wonder if this product should be used in place of taking a shower or when should it be used when also using a shaving cream that might contain some natural oils as well? Pre shave oil isn’t a replacement for taking a shower or wetting your face prior to shaving. 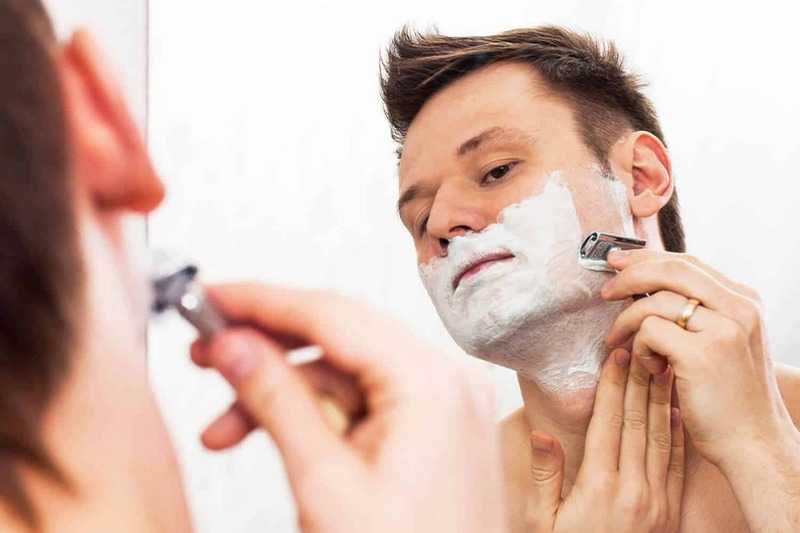 You should still apply warm water or take a shower prior to shaving to ensure the closest and most comfortable shave. Pre shave should be applied before any shaving cream or soap touch your face. In addition to being incorporated into the pre shave routine, pre shave oil is often widely used in the post shave process as well. In fact many manufacturers state this in the directions on their label as it provides great skin care benefits (I will touch on these benefits in detail in a minute). So contrary to what the name implies pre shave oil can, and does, get used on both the pre and post shave process. To understand the benefits of a pre shave oil and to set realistic expectations about this product, its critical to understand what exactly it is made out of. By and far the most popular ingredient in any pre shave oil is going to be the carrier oil. Carrier oils are used in a vast variety of products that you may already be familiar with including shampoo, shaving creams, soaps, lotions, and more. Carrier oils are typically derived from a plant in either a seed or nut form. Therefore carrier oils are completely all natural and should be pretty safe to use on your skin. Now if you do have allergies to nuts or just general skin irritation its always important to make sure you do a patch test or double check with your dermatologist before introducing new products to your skin. One of the most common carrier oils within pre shave oils is going to be castor oil (sometimes referred to by its botanical name as Ricinus communis). Castor oil acts as a natural lubricant and will help ensure that the blade passes through your hair follicles with ease. An additional carrier oil that is typically in tandem with castor oil is going to be grapeseed oil. Grapeseed oil has a wide variety of benefits, but definitely one of the key ones to look out for within this product is to relieve dry and itchy skin. Besides being a natural lubricant that is great for the blade, the biggest advantage of using a pre shave oil over nothing at all is that it acts as a terrific moisturizer for your skin that gives it a bit more pliability. This extra pliability of the skin will make it a fair bit easier to get a smoother and more comfortable shave. If carrier oils deliver most of the benefits, essential oils are the life of any pre shave oil. For the most part, carrier oils like grapeseed and castor have a relatively muted scent. Therefore if you want to have a great post shave smell, essential oils will be the product that will deliver this. But scents aside, essential oils actually also provide an extra layer of benefits in addition to the carrier oils. 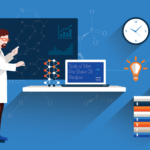 There are some really great resources out there that should guide you in the right direction. However, as a quick example of an essential oil that I like to use is tea tree oil. 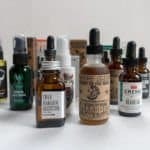 Tea tree oil, typically smelling along the lines of pine/woodsy, is a pretty manly smell that most men typically start off with when it comes to mens beauty products. However, scent aside, tea tree is a natural antiseptic. Therefore when this essential oil is used within a pre shave oil, it will actually help reduce the occurance of acne given its tendancies to clean out your pores. 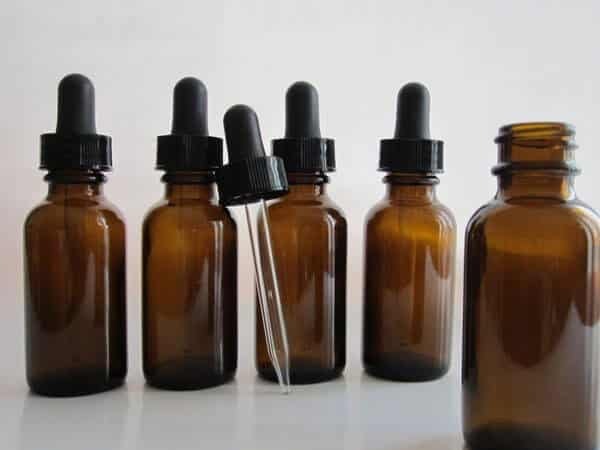 The one caveat of essential oils is that they are extremely potent. Therefore if you are ever thinking about just simply picking up tea tree oil and applying it to your skin prior to shaving, don’t. Essential oils is used repeatedly will burn/cause severe irritation. Therefore to use them properly, they always need to be diluted with a carrier oil. 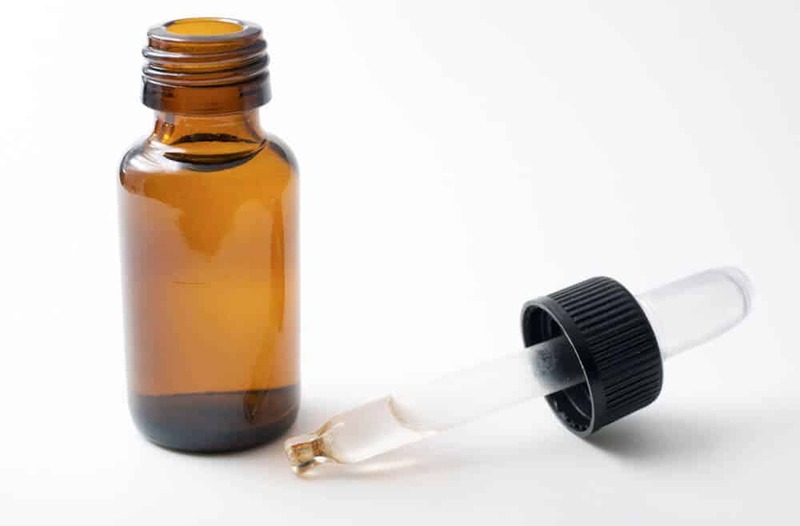 As mentioned previously, if you are trying out some oils for the first time, its always a good idea to do an allergy patch test to make sure you won’t experience any sort of reaction when applying a pre shave oil to your skin. Just as a quick note, typically essential oils that are derived from citruses (i.e. orange, lemon, etc.) 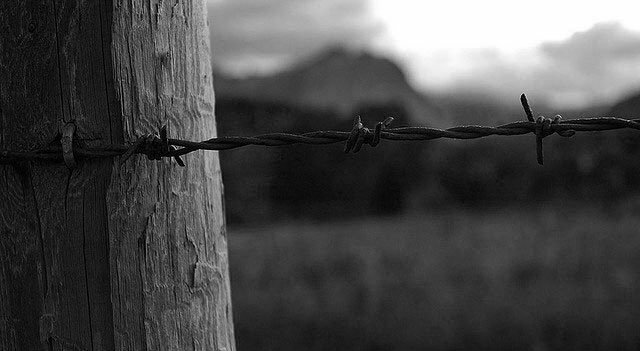 are a bit more harsh and therefore are more likely to cause skin irritation. If its your first time using a pre shave oil, I would recommend avoiding an oil that contains any citrus essential oils. The last ingredient you will typically see in a pre shave oil will be a vitamin oil. This holds especially true for the higher end pre shave oils. The addition of Vitamin E provides a third layer of benefits on top of the other products contained in the bottle. Therefore your skin will be well conditioned and smooth long after you are done with the shave when vitamin oils are used. One thing you always want to be on the look out for is cheap chemical based ingredients. If you see a pre shave oil full of crazy sounding chemical names or those like silicone, we would highly recommend that you skip on buying the product. Sythetic ingredients have a much harder/near impossible time absorbing into the skin to ultimately make for a comfortable shave. Therefore its always best to pass on these products. Now it is important to note that many pre shave oil companies like to use the botanical name in place of the generic name (i.e. Ricinus communis instead of Castor Oil). This is just a clever marketing technique in order to make the product sound a bit more higher end and boutique like. If you are uncertain about any product, a quick Google search of the ingredient should lead you in the right direction. Lastly, if the ingredients aren’t easily found on the product prior to purchasing (especially online), we would recommend to look for an alternative product. This is where skeptics of pre shave oils really get hung up on its core benefits. 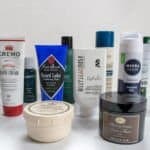 The reason for this confusion is that if you are currently using shaving cream that comes out of a can and is loaded with tons of synthetic ingredients or chemicals, the benefits of a pre shave oil are likely going to be noticeable. On the flip side to that, if you pick up a high quality shaving cream (one that doesn’t come in the can), they typically will contain several natural ingredients that make both the shave more pleasant, but also contain a great bit skin care ingredients as well. For instance when using a shaving cream like Creamo, it will provide an incredibly close shave with near zero irritation afterwards. This foamless cream provides a really great lubrication that allows the razor to pass over effortlessly. 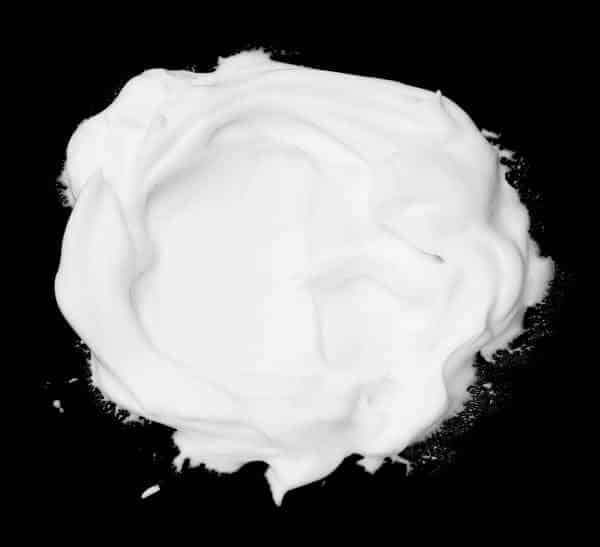 In addition to being a pretty good shaving cream, it also contains natural oils (lemon, olive, and aloe). Therefore a pre shave oil is very much dependent on the rest of your routine as well. If you are using a double edge safety razor or a brand new cartridge razor along with a quality shave cream, pre shave oil is just another extra layer of comfort. Personally when using a shave brush and shave cream on my head every week, I do apply a pre shave oil first (after a hot shower of course), then make the appropriate passes with my cartridge razor, and then apply a pre shave oil post shave for an extra layer of comfort. By itself pre shave oil will not prevent razor burn. 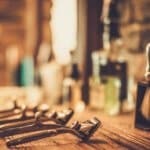 When it comes to achieving a comfortable shave, there are several factors that you need to take into account. As we eluded to earlier, making sure that you take a shower before shaving going to be the critical first step. You see when you take a shower, especially one that is a bit on the hotter side, this will help both open up your pores along with allowing your hair follicles to absorb the water and enlarge. When follicles are enlarged, it will make it much easier for the razor blade to guide through them with each pass. After getting out of the shower, you will want to apply the pre shave oil to your face, about a dime sized amount should suffice. Then after applying the pre shave oil you will want to apply shaving cream with a shave brush and not your hands. Shave brushes deliver all sorts of great benefits, however the key part to a comfortable shave is that when you use a brush it will help lift up the hairs on edge making it easier for the razor blade to cut the hairs, whereas if you use your hands, the hairs are going to be matted down. After applying the shaving cream with a shave brush, then you will want to use a razor of your choice. If you are looking for a razor that delivers an incredibly close shave for a fraction of the cost, we highly recommend that you check out a double edge safety razor. These razors cost pennies compared cartridge razors or even the popular (and affordable), shave clubs out there. The key point though with the razor is to make sure that it is changed out often. 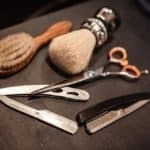 Razor blades themselves are subject to wear and tear and if they aren’t regularly changed out, razor burn and general skin irritation is going to happen (even if you do use a pre shave oil, shaving cream, and shave brush). 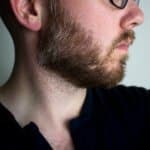 This is why so many men are starting to consider the double edge safety razor (in addition to its incredibly cheap long term price). Once you have fully shaved your face, we recommend lathering on a pre shave oil again. This will ensure that your skin stays well hydrated and doesn’t appear ashy throughout the day. A substitute in this case could also be an aftershave such as witch hazel or even a quality lotion. As we covered earlier, pre shave oil contains just a few simple ingredients which makes it incredibly easy to make yourself. But not only is it incredibly easy to make yourself, but its extremely cheap when compared to the retail cost of picking up a bottle. When we talked about ingredients of a pre shave oil, about 95% of the oil is made from a carrier oil. Oils like castor and jojoba are going to be the most popular ones to use. Then if you want to give it a bit more pizzazz, you can put in a few drops of an essential oil in order to achieve the desired fragrance. Last but not least, if you want some extra skin care benefits added, you can put in a few drops of Vitamin E or A. Once you have all your oils, you want to store it in a little bottle and store in a cool dry place in order for the oils to keep their core moisturizing benefits. Generally speaking, we feel that the advantages of pre shave oil are pretty good. Its an extra layer of comfort that you can easily incorporate into any pre and post shave routine. However, its important to remember all the critical steps in getting a close and comfortable shave as we outlined earlier. Without all those steps in place, pre shave oil will only be a small piece of the greater picture. If you do have any questions definitely drop a line in the comments below and let me know whats on your mind!